‘For’ the poor or ‘of’ the poor? A Church for the Poor, a new book from Jubilee Plus, explores the same questions as Church Action on Poverty’s ‘Church of the Poor?’ project. In this guest post, Greg Smith, Development Worker for Together Lancashire, reviews the book. David Primrose, Director of Transforming Communities in the Diocese of Lichfield and a trustee of Church Action on Poverty, reviews the first two volumes of an exciting new series edited by Paul Cloke and Mike Pears: Mission in Marginal Places. Re-Enchanting the Activist: Spirituality and Social Change is a new book by Keith Hebden, who led the End Hunger Fast in 2014 and is now Director of the Urban Theology Unit. This review is by Sandra Dutson, a member of Church Action on Poverty’s Council of Management. Sandra Dutson, a member of Church Action on Poverty’s Council of Management, reviews a new book of contextual theology by Bishop Laurie Green. Hilary Russell, former chair of Church Action on Poverty, has a new book out which will be of interest to our supporters. We asked her to tell us a bit about it. 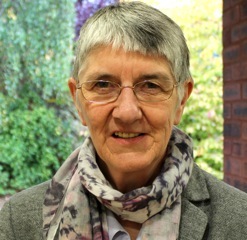 Alison Jackson, chair of Church Action on Poverty’s Council of Management, shares her thoughts on Spiritual Activism, an interesting new book from Alastair McIntosh and Matt Carmichael.